30dB.com research shows that when social media discusses @petebuttigieg, people used these words: , joins, exclusive, offered, thank you, a really good, against, support, awe inspiring, i like, a valid, claims, great, supporting, thanks, i love, love, question, a good, good, supports, win, ah yes, impressive, tired of, agree, articulate, claiming, fear, hates, seriously, better, i hope, i really like, impressed, most effective, provocation, questions, sorry, thoughtful, wow. Based on our research, see the crowd's opinion and sentiment on @petebuttigieg . The data was collected from samples of comments made on the Internet through 04/08/2019. You can intereact with the polling data and see actual excerpts of opinions we've gathered.Use the search box to enter topics, terms, and/or names to see the latest trends and opinion polls on news, sports, politics, entertainment, celebrities, hashtags, products, electronics and more. Opinion polls are updated several times every day on every topic. The Democratic field for 2020 Presidential hopefuls grows by the day as does the armchair punditry of where the candidates stand and if they have the staying power to make it through the convention a mere 15 months away. Kamala Harris came out of the gate strong as did Elizabeth Warren while Bernie is on the attack. Beto got some quick love but is now facing the "Where's the Beef" inquisition. 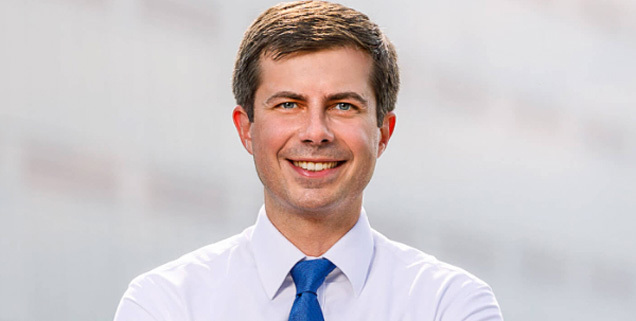 But the Cinderella Story so far this season has been Pete Buttigieg, the 37 year old mayor of South Bend, IN who also happens to be the only veteran and Rhodes Scholar in the group not to mention him speaking more languages than just about the rest of the crowded field combined. Pollsters are saying so far there's a lot of heat but not much light with Mayor Peter as they claim he isn't seeing much movement in the polls. Well, if Twitter is voting, and by the way Twitter continually picks winners in the face of incorrect polling, Mayor Pete has the early lock on the race. Over the last two weeks the percent positives for the candidates are as follows: Buttigieg 72, Booker, 48, Harris 56, Castro 58, Gillibrand 44, Inslee 55, Klobuchar 69, Beto 44, Bernie 49, Warren 54, Gabbard 57, and Hickenlooper 40. In addition to standing alone at the top of the Twitterboard, Buttigieg also tops the volume charts with only Bernie coming close. Will Mayor Pete have a Howard Dean moment? He seems too sharp and collected for that but 15 months is a long time. God help us.